If you are suffering from weight gaining problem, then you are on the right place, here we are providing all the information and details to avoid over weight.. Here We talking about weight gain disease: Some types of weight gain are related to a natural process rather than a disease. For example, it is normal (and even necessary) to gain some weight during pregnancy, and weight gain accompanies normal growth in children. 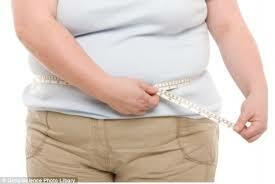 However, unplanned or unintended weight gain may become problematic and should be addressed. In most cases, taking more calories into the body than your body can use causes unintended weight gain. When you reach middle and older ages, weight gain is a common symptom as your metabolism slows, unless this is countered by conscientiously eating less than you did when you were younger as well as getting adequate exercise to burn the excess calories you consume. By the same token, weight gain can also be a symptom of a number of disorders affecting any of several body systems, including the endocrine, cardiac, urinary, neurologic, and respiratory systems. In particular, weight gain that is sudden and rapid can be a sign of dangerous levels of fluid retention by the body due to heart or kidney disease. In addition to a variety of diseases, certain drugs can also cause weight gain. Examples of these include certain antidepressants, corticosteroids, lithium, tranquilizers, phenothiazines, and drugs that increase fluid retention. Because most weight gain is a symptom of caloric intake exceeding caloric need, it is important for you to get in the habit of paying attention to proper nutrition, learning portion control, and developing a consistent but varied regimen of exercise. Weight gain can be a natural result of fluctuations in hormonal processes, such as the menstrual cycle or pregnancy. However, most cases of unplanned or unintended weight gain are caused by taking in more calories than the body can use. Certain drugs can also cause weight gain, and unintended weight gain can be a symptom of a number of medical conditions or disorders. Weight gain that is sudden and rapid can be a sign of dangerous levels of fluid retention by the body. How long have you been gaining weight? Has the weight gain been rapid or gradual? Do you feel anxious or under stress? Depressed? Have you noticed any changes in your appetite or your eating habits? Weight gain can be prevented by choosing a lifestyle that includes good eating habits and daily physical activity. By avoiding weight gain, you avoid higher risks of many chronic diseases, such as heart disease, stroke, type 2 diabetes, high blood pressure, osteoarthritis, and some forms of cancer. Throw out junk food: No matter how disciplined you are, if junk food is there, you’ll eventually eat it. All it takes is a long day at work or a rushed meal to push you toward grabbing the quick fix. Do a quick search through your house (cabinets, refrigerator, under your pillow, and so on) and get rid of unhealthy snack food. If your spouse, significant other or kids have junk in the house, throw their stuff out, too. Consuming a couple cups of water before you eat will fill up your stomach and cause you to eat less. Research has shown that people using this strategy lose more weight than people who don’t. If you don’t like water, try adding a lemon or lime to it or try drinking a zero-calorie beverage with a little more flavor like green tea or POWERADE ZERO. The important thing is that you’re staying hydrated and filling up your stomach with liquid while not taking in additional calories. Muscle has a significantly higher metabolic rate than bone and fat. Simply put, this means that it takes more energy (read: calories) to fuel muscle than it does other tissues within the body. By lifting weights and adding some muscle mass, you keep your metabolism and the number of calories you burn at rest high. This is one of the most overlooked aspects of a quality fat-loss program and is essential as part of a weight-loss maintenance program. When you take in a whole-grain carbohydrate source, it takes time for your body to break down the food. As a result, you receive a slow, consistent supply of food, similar to a time-release drug. On the other hand, foods like pasta, white bread or anything high in sugar are rapidly digested and give your body a quick supply of a ton of energy. Since your body doesn’t need all of this energy at once, it defaults to storing it as fat. Overall, these foods have little nutritional value and generally lead to metabolic damage and fat storage. Your metabolism plummets while you sleep; you go into a state of catabolism (read: breakdown). The best way to jump-start your metabolism and give your body the fuel it needs for the day to come is to eat a quality breakfast. At a bare minimum, your breakfast should have at least one serving of fruits and vegetables, a lean protein source and a glass of water. You can also add a quality whole-grain carbohydrate source, such as steel cut oats, to your breakfast.